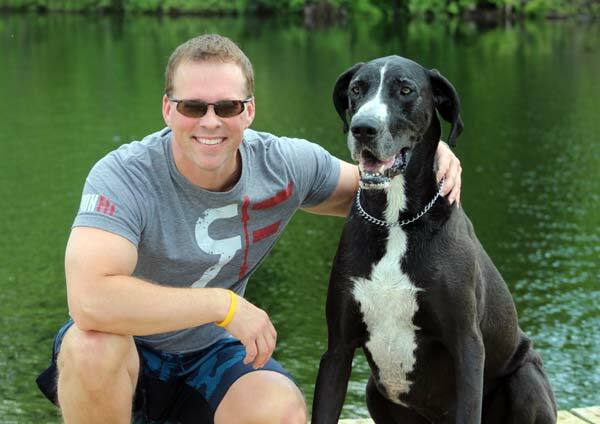 Your Great Dane dog could be our next Homepage featured Dane! Learn more. James writes, "Sophie is a 4.5 year old female Dane, pet quality because she's missing her mantle collar.. so she's perfectly imperfect!" 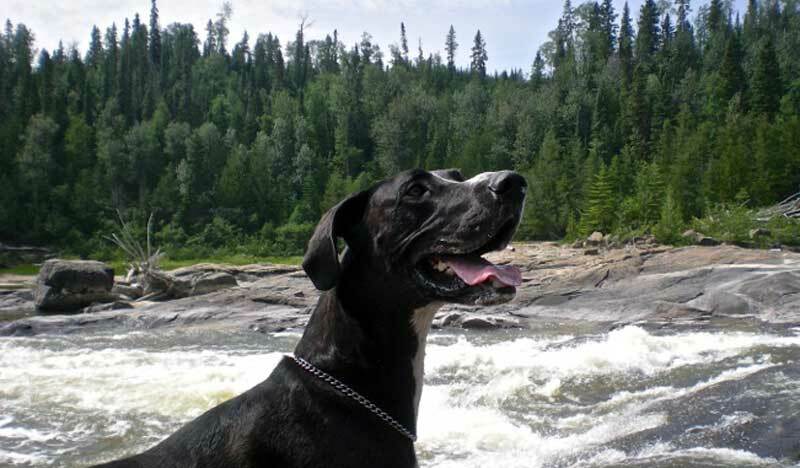 She is a huge ham, and is an outdoors enthusiast who has lived in Northwest Ontario all of her life. 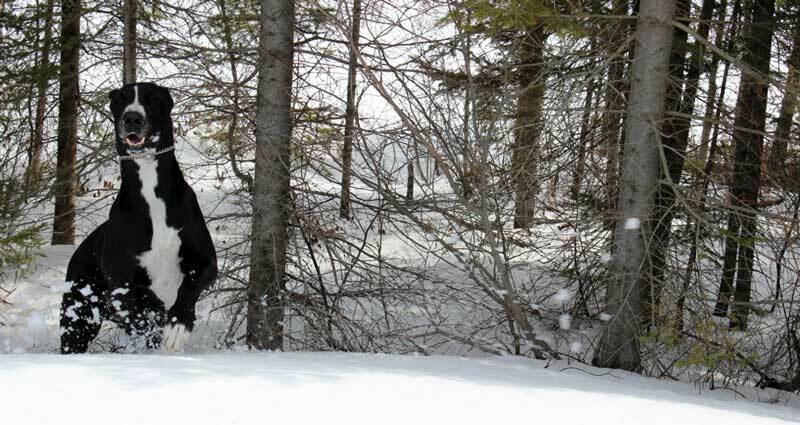 She loves cross country trail running, skiing, snow shoeing, hiking and swimming. 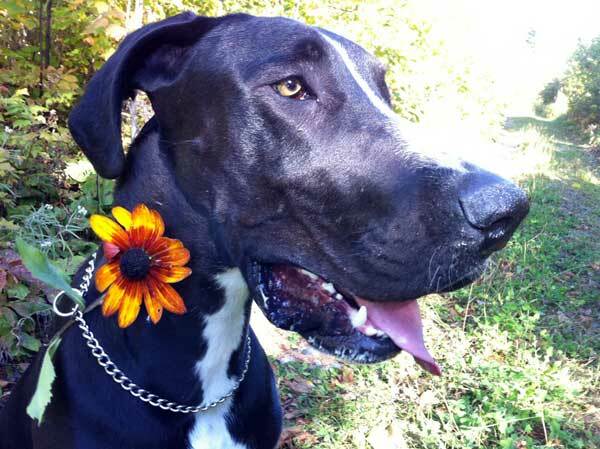 Shout out and share the love of your Great Dane with our website visitors. Learn more. Her well deserved nicknames are "Hank the Tank" and "The Gong Show" as she runs things over instead of going around them! Her temperament is typical of Danes, gentle and loving in nature with a reserved somewhat protective demeanour when in surroundings such as on remote trails and in the bush. 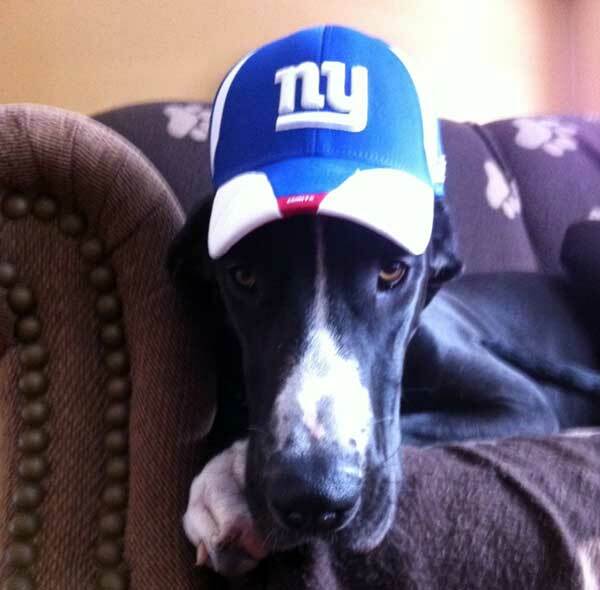 Share your Great Dane photos and stories with us. Learn how to get it done here. 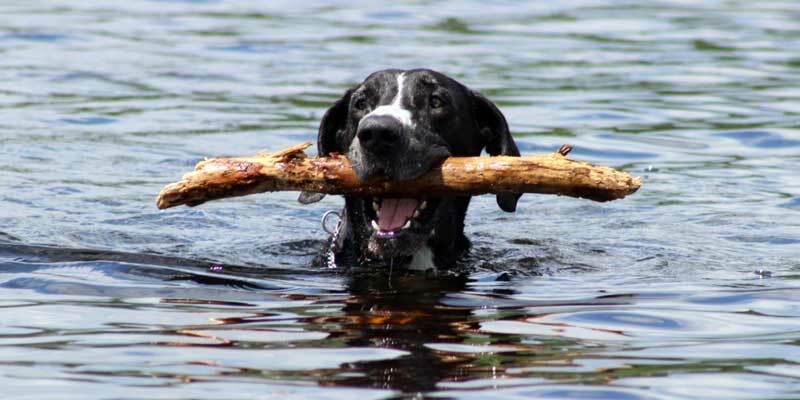 What is not typical is here absolute love for swimming, not surprising since her best fur friend is a Labrador Retriever! Just like every other Dane owner, we are completely in love with our Dane and the breed, they are kind of addictive!